Inkgard™ offers multi-user licensing that allows everyone on a network to save ink, toner and resources	with every page printed. 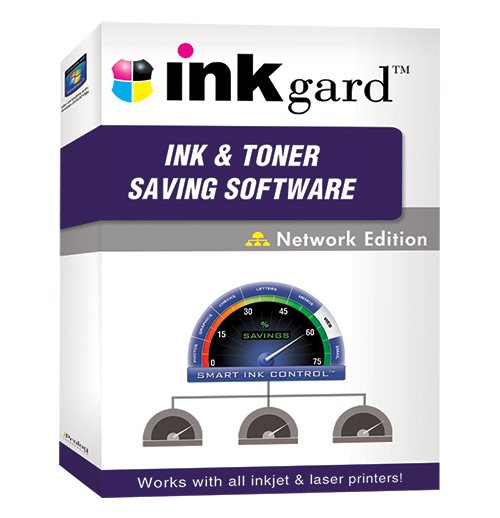 After a simple installation, networks such as those at companies and computer labs at schools, universities, and libraries can reduce printing costs by up to 75% with Inkgard®. The Inkgard Network Edition even works on home networks! Maximize cost reduction – Easily enforce savings levels! (~30MB) one time to deploy to Windows® workstations. Inkgard Web Services activates license codes. or allow users to select their own savings level. Please contact us for custom licensing!